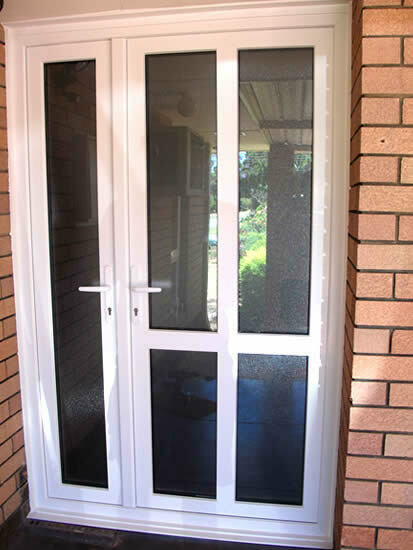 Our double glazed windows are very popular due to their environmental and visual advantages, but we also supply and install residential doors including exterior doors, french doors, sliding doors and more. 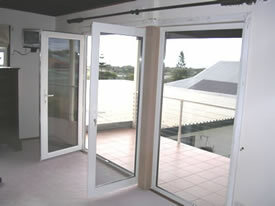 We are a supplier of double glazed windows in Perth. 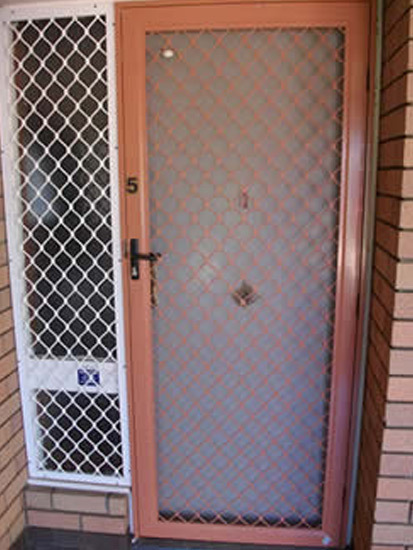 Want a front door makeover? 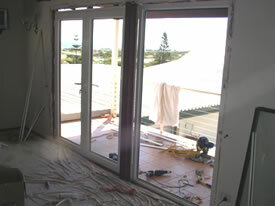 This client had existing doors that rattled with the strong gusts from the beachfront and sounded like they would cave in. 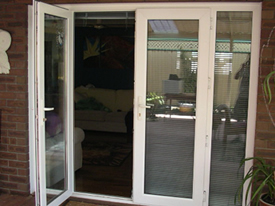 The curtains used to blow even when the doors were closed. 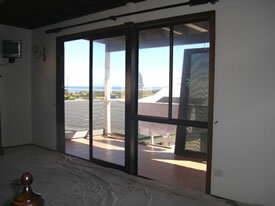 After our installation of pvc doors, the client can’t hear the wind and the doors will be secure, offer sound-proofing benefits, are very low maintenance and still allow them to enjoy the view! 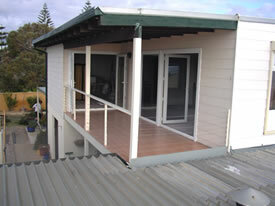 The crisp white pvc windows suit this beachy location and we are happy to have yet another satisfied customer. 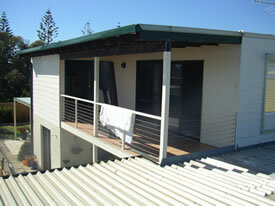 Have a look at the before, during and after photos below. 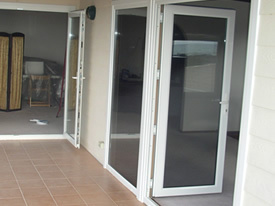 Advantage Double Glazing Perth is located at 28 Morgan Street, just off Dixon Road Rockingham, south of Perth, WA. 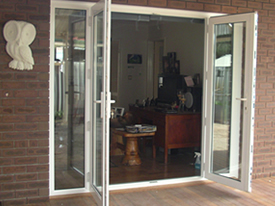 If you have a good idea of what type of window you need, please complete our easy form and either scan, fax or post it to us.